Thể Thao 247 - Thailand eliminates the rumor saying that it will give up SEA Games to concentrate on AFC U23 Championship 2020 Finals. Thể Thao 247 - Coach Park Hang-seo’s side has a great opportunity to find out Vietnam’s strongest squad in King’s Cup 2019. Thể Thao 247 - U18 Vietnam, under head coach Hoang Anh Tuan’s lead, arrived in Kong Kong to prepare for the opening match against U18 Singapore. 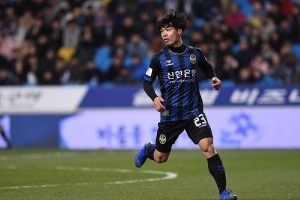 Thể Thao 247 - Filip Nguyen’s excellent performance has helped Slovan Liberec promote their place in the rankings and full of chance to attend Champions League next season. 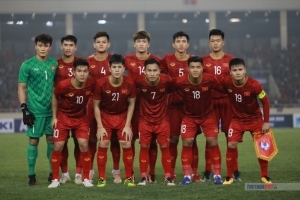 Thể Thao 247 - U17 Ha Noi went through an unfortunate failure against China Hebei FC in Evergrande Cup 2019. Thể Thao 247 - In the recent preview, Thai press affirmed Vietnam’s ambition toward SEA Games after their achievements.